Thermalinc: Insulated Tote Tank Heaters! Raise Liquid Temperature Poly Totes with a safe, efficient electric heater. The contents in your tote tanks / IBCs, such as honey, molasses, or lube oil, can be slow moving and uncooperative when you need it most, especially when winter strikes. Heat allows the content to flow at a manageable rate. 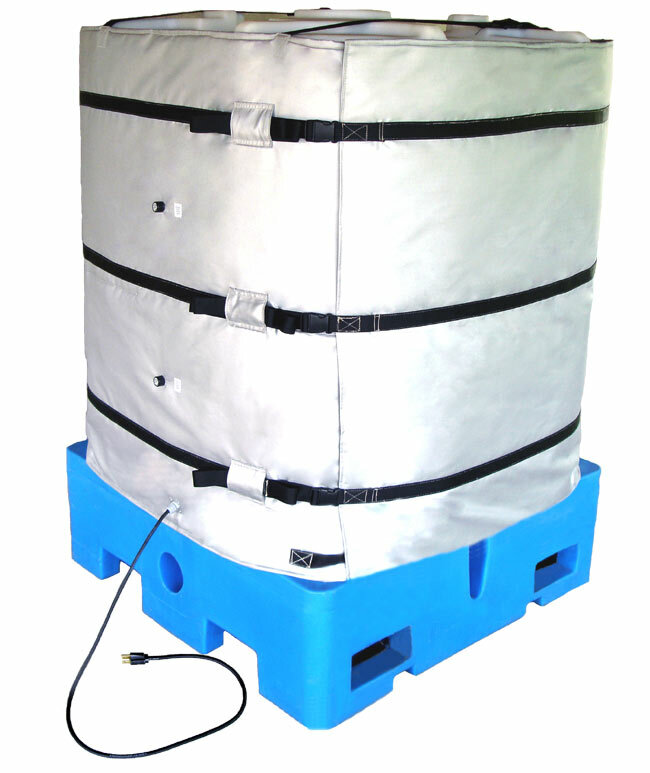 The wrap-around blanket design allows you to heat a tote tank / IBC in a non-invasive way. Unlike immersion heaters, wrap-around surface heaters will not contaminate or scorch your product. An optional insulated top is offered for faster heat-up and more efficient temperature maintenance. Max operating temperatures of 160�F.